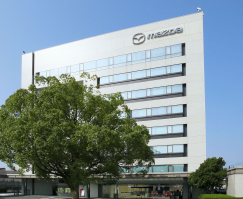 Mazda recalls 309,000 cars originally recalled in 2015 to replace Takata airbag inflators. September 2, 2017 — Mazda is recalling 309,000 cars to finish a Takata airbag inflator that started in 2015 involving the 2003-2008 Mazda6, 2004-2008 RX-8 and 2006-2007 Mazdaspeed6. The cars are equipped with Takata dual-stage driver's side frontal airbags that can explode in a crash, even a fender-bender. 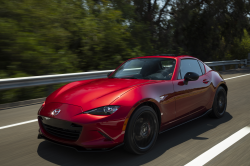 Mazda recalled the cars in June 2015 and warned owners they would need to make second trips to dealers once permanent driver-side inflators were available, and that time is now. 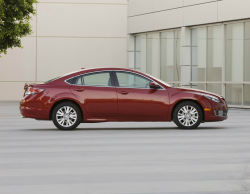 The cars were equipped with Takata PSDI-4 inflators, but the 2015 recall was ordered to replace those inflators with Takata PSDI-X inflators using desiccated phased-stabilized ammonium nitrate. This newest recall is for cars not repaired from the 2015 recall, but this time the inflators won't contain ammonium nitrate. 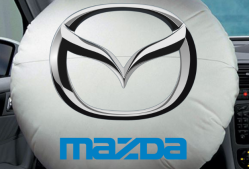 Mazda says it is considering this the final Takata airbag recalls for these cars, but this time the inflators will come from a different company than Takata. The recalls came about after Takata notified the government about driver-side airbags that use batwing propellant wafers at risk of exploding when the airbags deploy in a crash. The airbags have killed numerous people and injured about 200 and finally caused Takata to file for bankruptcy protection. 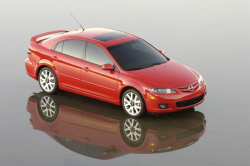 Owners of certain 2003-2008 Mazda6, 2004-2008 RX-8 and 2006-2007 Mazdaspeed6 cars will soon receive recall notices with instructions to get the driver's side frontal airbag inflators replaced. Mazda owners with questions should call 800-222-5500. 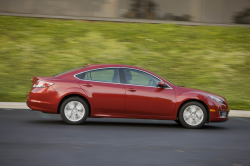 Mazda's number for this recall is 1417G. CarComplaints.com has complaints about the Mazda RX-8, Mazda6 and Mazdaspeed6.